If you’re a byproduct of the late-’80s and early-’90s North Dakota K-12 educational system, when you weren’t thinking about pop culture in a rural setting, there were certain hours of the day when you were subjected to 4th and 8th grade North Dakota Studies. The North Dakota Studies training was a bit like chest-thumping boosterism (take that, South Dakota, Manitoba, Montana and Minnesota — Saskatchewan wasn’t yet on our young radars), yet there were other segments that appeared as cold hard facts (something Carl Becker perpetually wants us to consider and reconsider). I’ve lost touch with the curriculum changes since the late-’80s and early-90s, but I do recall my 4th and 8th grade teachers teaching us (as they were taught to teach us) just how fertile the soils in the Red River Valley were. At that young age, much of this information is either lost on 4th graders in the late ’80s, when the Red River Valley seemed like a place so distant — “…it takes a little over 3 hours by car to get there!” goes the fourth grade line of reasoning, “…and that is without stops!” Or it works its way into one’s developing subconscious (the theory out there now is that we never forget anything; it’s more of a matter of how to access that information in the enigmatic file drawers within the brain — “Where did I put that piece of information?!”). 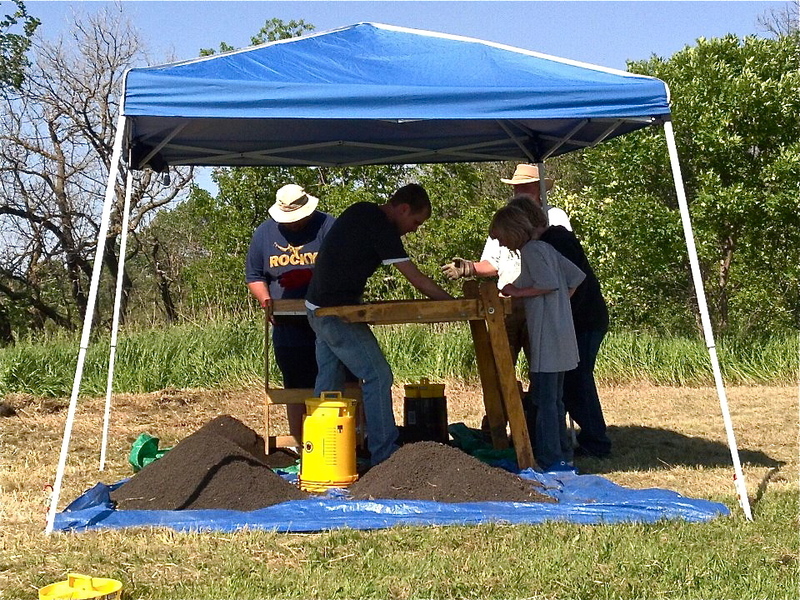 Below are two photos from 2012 archaeological fieldwork that make the North Dakota Studies Soils Boosterism all the more transparent, at least in the comparative context of the Levant and the Red River Valley. If you tell a North Dakota 4th grader, “The Red River Valley has some of the most fertile soils in the world!! !” they will believe you (or pretend to care) but without knowledge of just what that means. When our great grandparents and great-great grandparents swooped onto the northern Plains, they came from any number of places. The point of entry with the railroads and all was Fargo, and no doubt they could take an assessment of what the glaciers left behind. 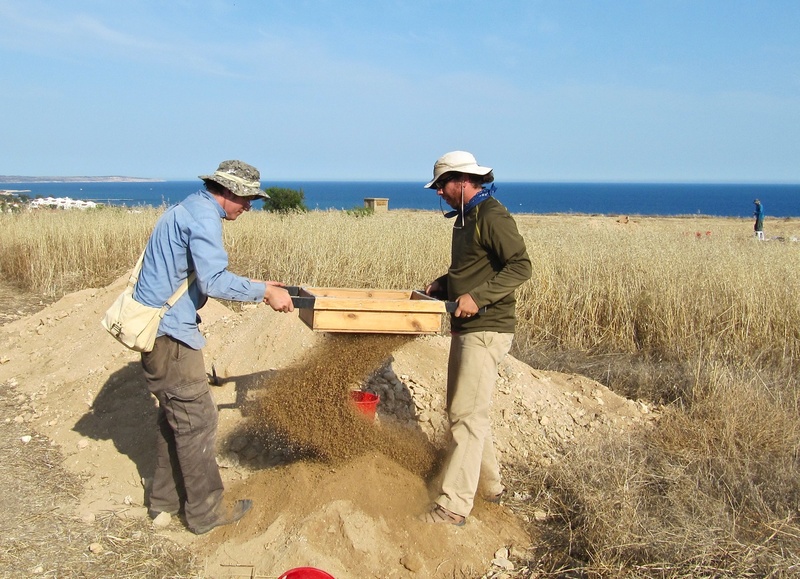 Dr. David Pettegrew and Dr. William Caraher sift Cypriot soils through an archaeological dry screen in June 2012. Red River Valley soils after sifted through a 1/4″ dry screen at Fort Abercrombie, North Dakota. Photo by Richard Rothaus, PhD. The second photo (courtesy of Richard Rothaus) is what Red River Valley of the north soils look like, specifically around Fort Abercrombie, at least just after sifting them through an archaeological dry screen. Finally, here are a couple photos of both the Red River Valley and Cyprus produced by the SCIENCES and SCIENTISTS! The first is from the Republic of Cyprus Geological Survey, and the second is from Dr. Donald P. Schwert, North Dakota State University professor of geology. Yes, science is worth the funding folks. 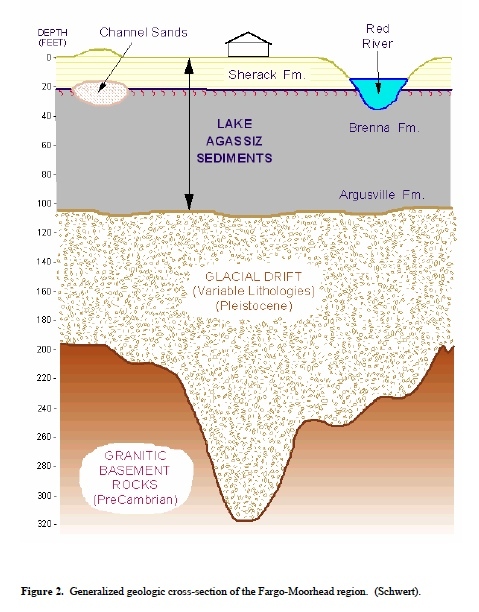 Map from Donald P. Schwert, “A Geologist’s Perspective on the Red River of the North: History, Geography, and Planning/Management Issues,” (Fargo: North Dakota State University, 2003), page 3. Crops can be grown in either of these soils (the lemon trees on Cyprus make the mouth pucker and water just looking at them), and you’ll also notice which dirt will raise the eyebrows of serious farmers. 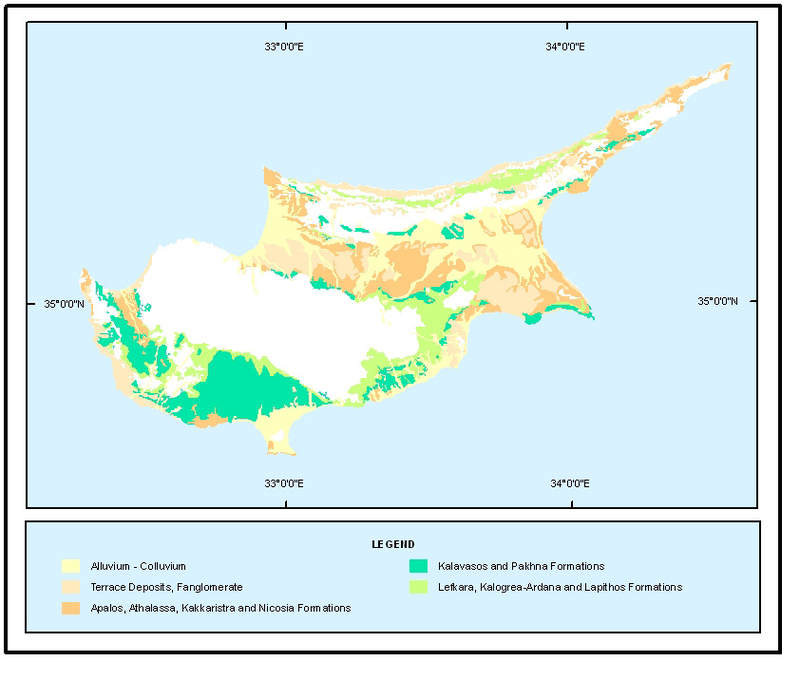 The Cypriot soils do not benefit from glacial activity (too close to the equator and Levantine climates), but the geology that the soils reside on do benefit from precious metals, specifically copper. This is where we get the island’s name, the Latin scientific word for copper as Cuprum = Cyprus (the Troodos Mountains are full up with it). This entry was posted on Tuesday, June 12th, 2012 at 11:30 am	and posted in Uncategorized. You can follow any responses to this entry through the RSS 2.0 feed.